Have you all had a very merry Christmas break so far? 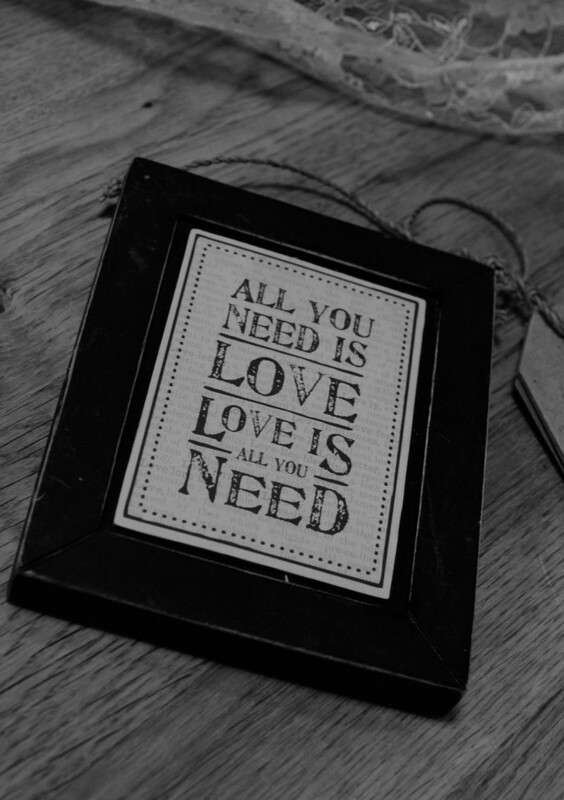 If you got engaged over Christmas, then great big hearty congratulations to you and your other half! 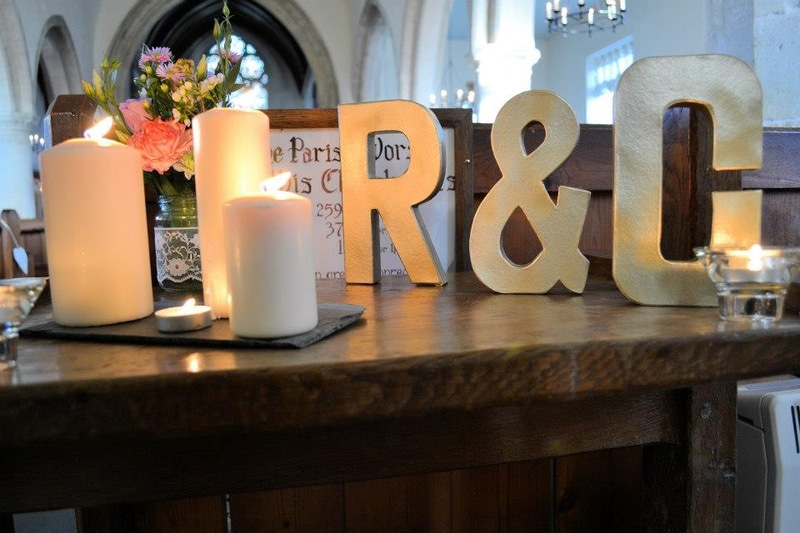 It’s great to have you with us and we can’t wait to give you lots of budget beautiful inspiration to help you plan your wedding in 2014. I really cannot believe that we’re about to say ‘so long’ to 2013, it really has blitzed past and it has been a fun ride… You can catch up with our highlights from the first half of the year here if you missed them last week. So without further ado, here are our favourite bits from July until now! 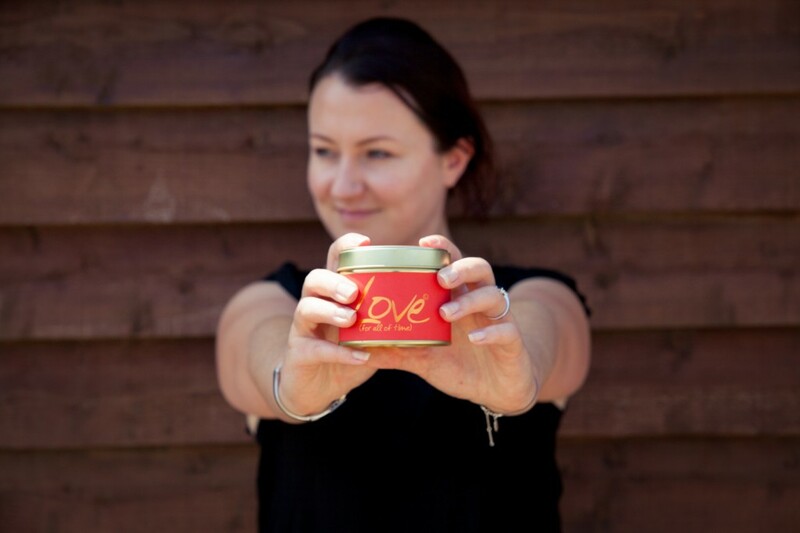 ♥ I got in front of the camera and struck a pose with Danielle Mobbs Photography for our ‘About Us’ page! 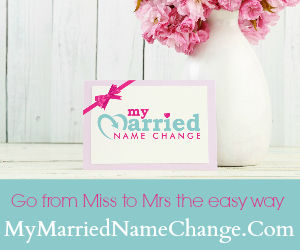 ♥ The Budget Bride Company moved HQ into new offices in the Midlands! 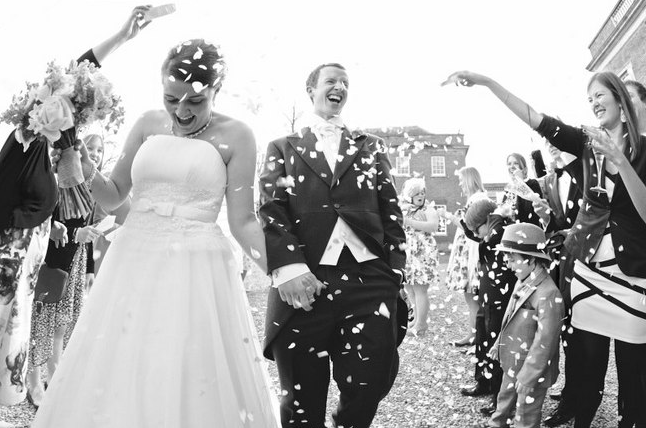 ♥ We featured one of our most popular Blog posts on the wedding of Charlotte and Rob. 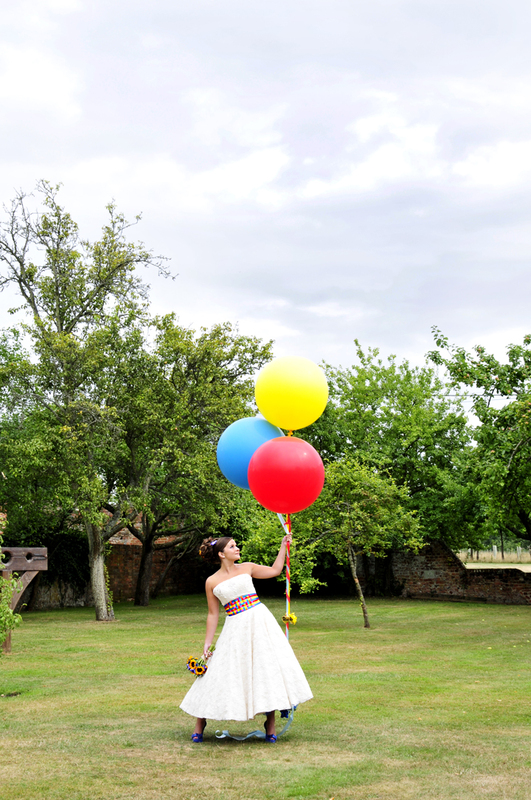 ♥ Just check out the colours on this amazing Carnival themed photo-shoot from The Berkshire Wedding Community! ♥ We were so proud when one of our readers was published in Wedding Ideas Magazine October Issue! Congratulations to you both, Alison and Dave! ♥ We ran our second Budget Bride Live Wedding Fair at The Ruby Lounge at Diana’s in Wellingborough and had a great day, despite the rain! ♥ We had a brilliant time at our Budget Bride Live Wedding Fair at The Eden Centre! ♥ We were asked to share our thoughts on business role models on the NEP Global Entrepreneurship Week Blog! ♥ We launched our brand new website – what do you think, peops?! 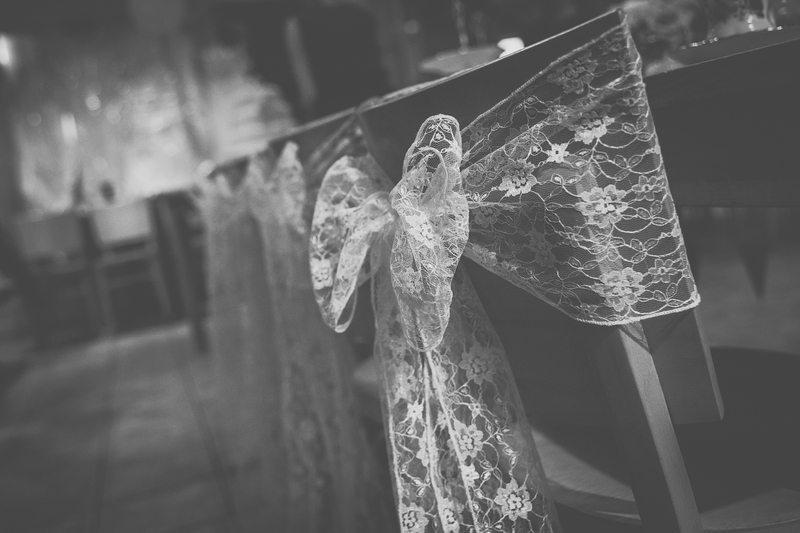 ♥ We featured this beautiful Irish Budget Wedding. Happy Christmas Brides to Be! 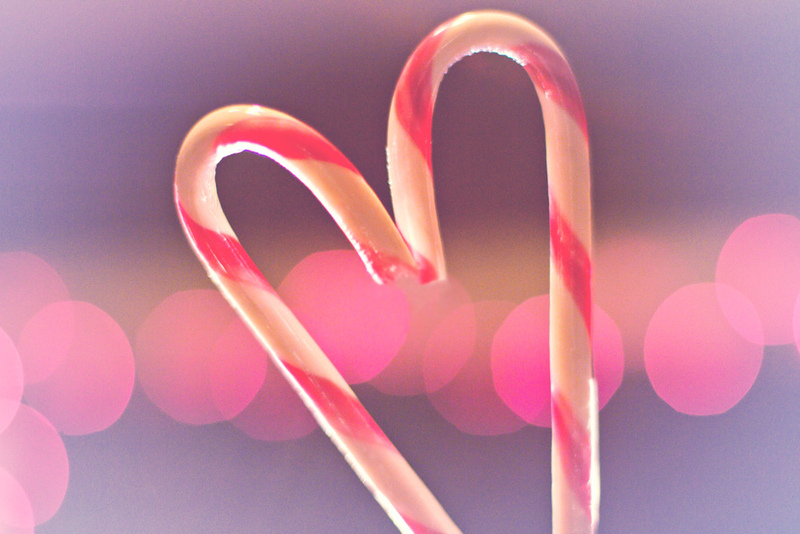 I hope that Santa brings you everything you wish for! 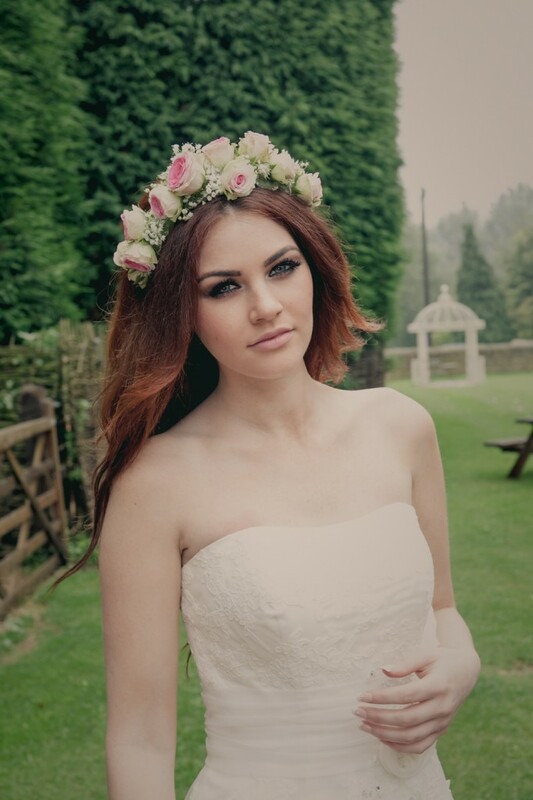 ♥ We welcomed Charlotte Marie Photography to our trusted suppliers Directory . 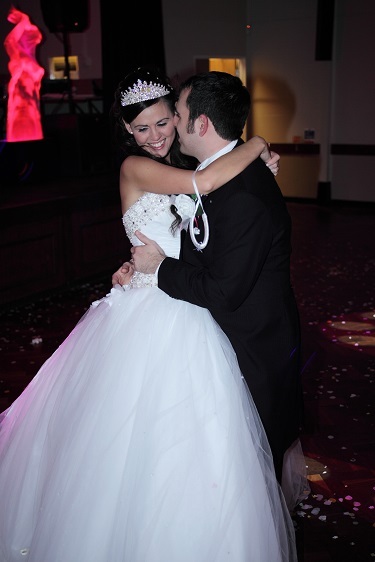 Charlotte Marie offers brilliant wedding photography packages from £350. 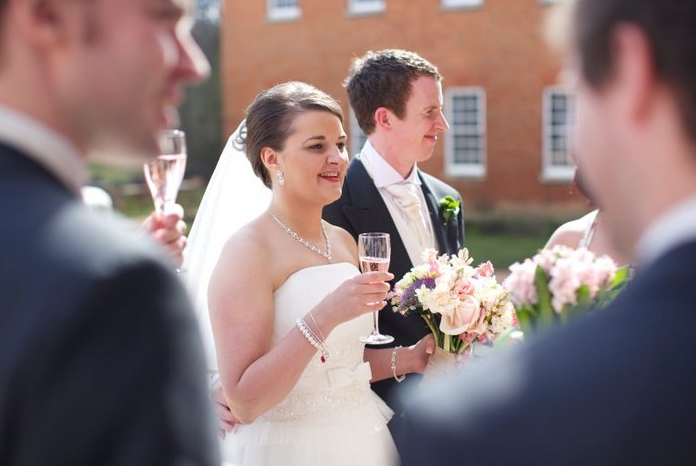 ♥ We welcomed Just for Eve to our Directory of trusted budget wedding suppliers. 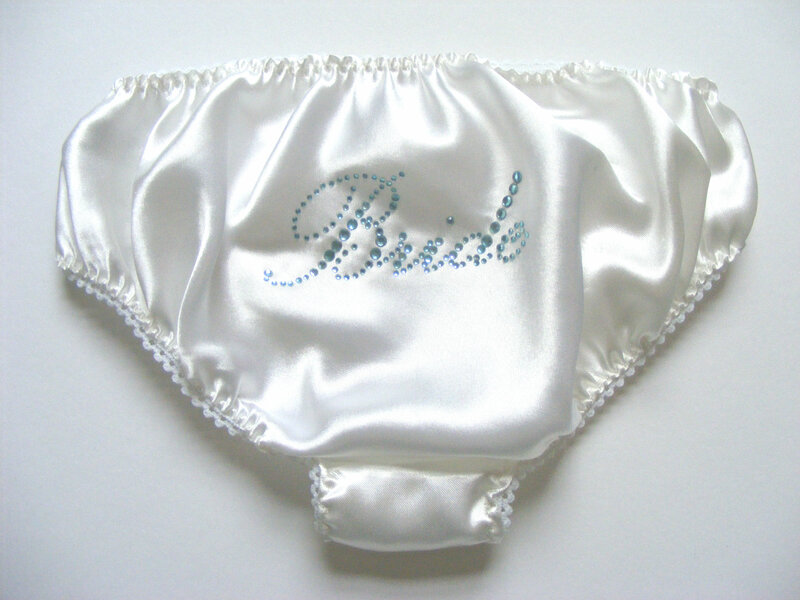 Just look at these gorgeous pieces of bridal underwear and garters! ♥ And then there was the incredible joy filled wedding of Tamara and Lawrence. Tamara’s sense of style seems to know no bounds, and you can see all of the details and how she budgeted her wedding here, (our most popular Blog Post of 2013!) and you can also check out the outfit I wore here. ♥ We featured a beautiful wedding photo shoot from the talented lot that are The Berkshire Wedding Community – oodles of vintage style for you to feast your eyes on! ♥ In the name of research, John and I went on a Morroccan Minimoon Adventure – to see how much fun you could fit into a weekend! I truly believe that Minimoons are the way forward and mean that you can have a luxurious and exotic escape without busting your wedding budget. 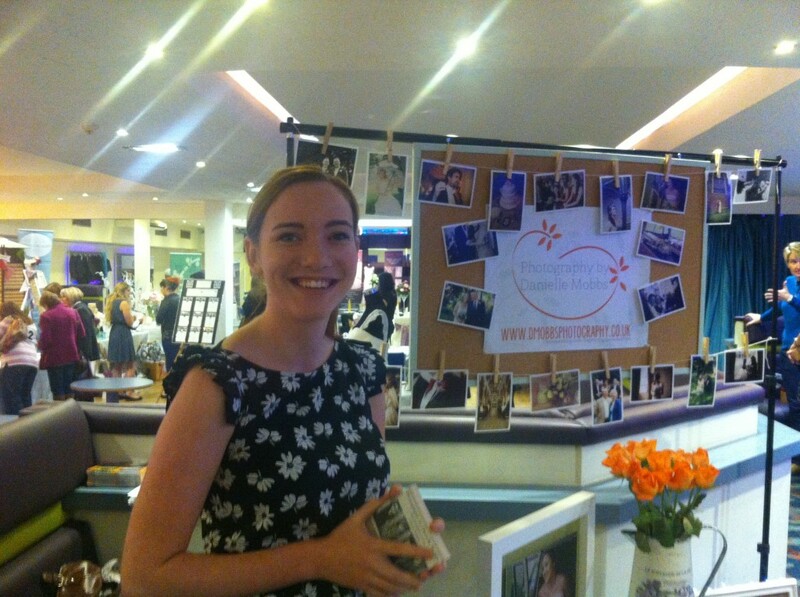 ♥ On the 12th June, The Budget Bride Company celebrated our First Birthday! ♥ We welcomed Host Event Management, who offer great value wedding planning packages, to our trusted list of Budget Wedding Suppliers. Have a lovely weekend peops! 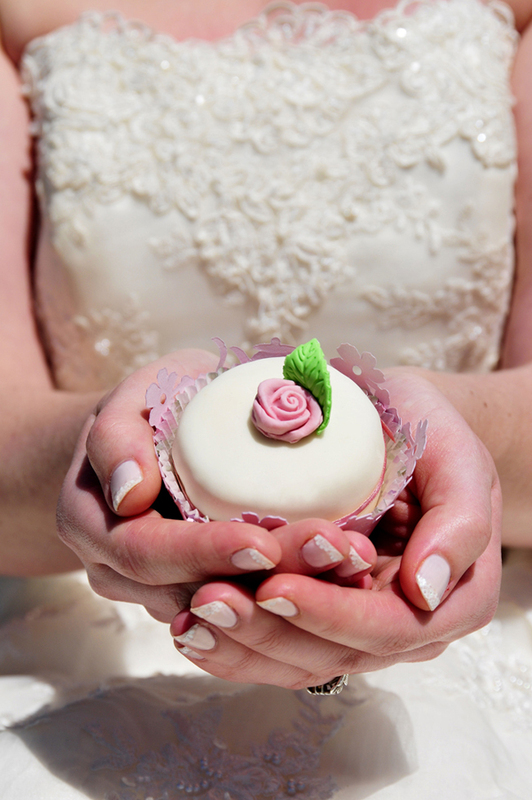 Welcome to our brand new, revamped and revitalised Budget Bride Company Website! We have given the whole look and feel a big overhaul, to make it easier for you to read our Blogs and to search for the exact Budget Beautiful Suppliers that you need for your wedding day. With gorgeous photography from Danielle Mobbs throughout the new site and a nice clear, easy to navigate layout, we hope that the new site will make it even more enjoyable to plan your wedding! 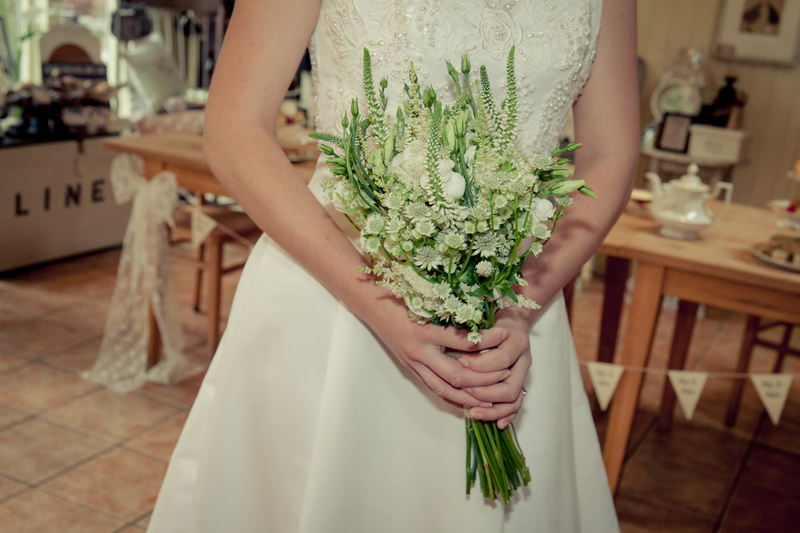 You can check in on Budget Beautiful Suppliers from your local region on the Directory Page here - just choose your area from the list on the left, and then go to the Categories of your choice to find quality suppliers near you. We’ve made it a whole bunch easier to search through our Blog archives too! Just check out the list down the right hand sign to search by topic type or by month. 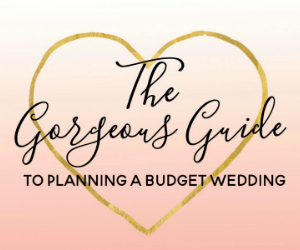 The Real Life Budget Wedding features have SO much inspiration for you to try at your own wedding! 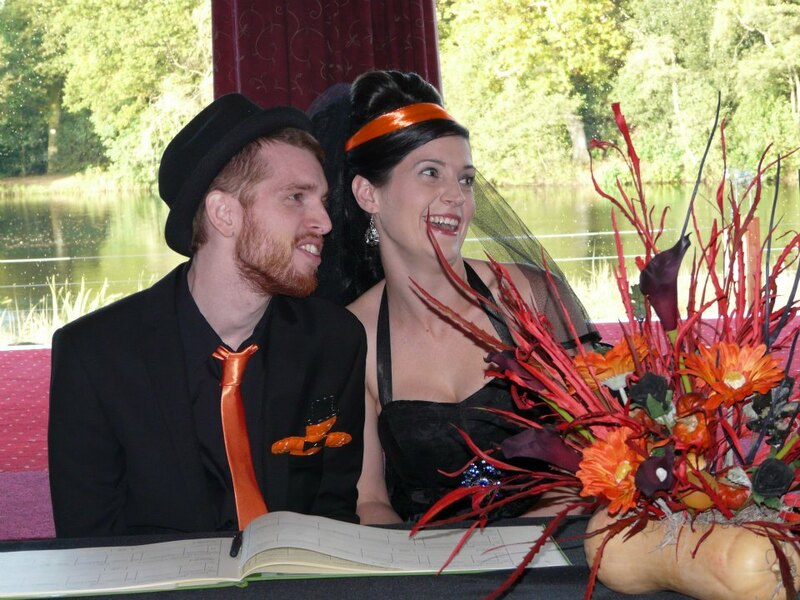 We are always on the lookout for gorgeous Budget Beautiful couples to feature on our Blog. If you would like to share your tips and show off your photos, then head over to our Submissions Page and drop us a line! And if you are a Supplier who would like to come on board with us as an advertiser we would love to hear from you. Check out our Advertising Page here! 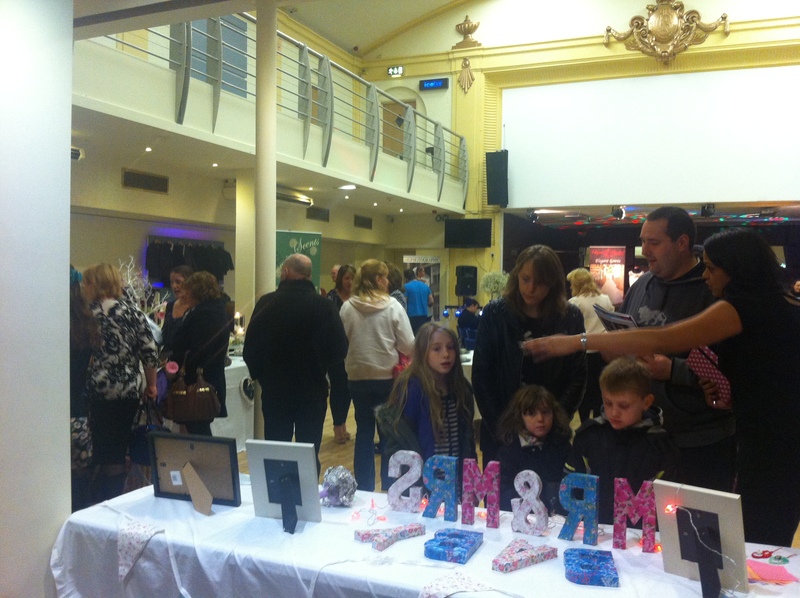 On Sunday 3rd November, The Budget Bride Company and a massive array of gorgeous wedding suppliers landed at The Eden Centre in Kettering, Northants. The Eden Centre is a real hidden treasure in Kettering. The unassuming front doors on Montagu Street open up into a grand art deco styled venue which, at one point in it’s history, used to be a theatre. Many of the original features remain, with gorgeous feature ceilings and galleried landings. The size and feel of The Eden Centre, along with its excellent value wedding reception packages, made it a natural choice for us to choose as a Budget Bride Live Wedding Fair venue. The incredibly helpful and friendly venue team, headed up by Laurie, can’t do enough to make you feel welcome, which made all the difference for our last wedding fair of 2013! Once all of the suppliers had set up their exhibition spaces, the doors opened to the public at 3pm. Guests were greeted by the sight of two super long limousines from LJ Limo’s parked outside the venue, these cars are definitely crowd pleasers! 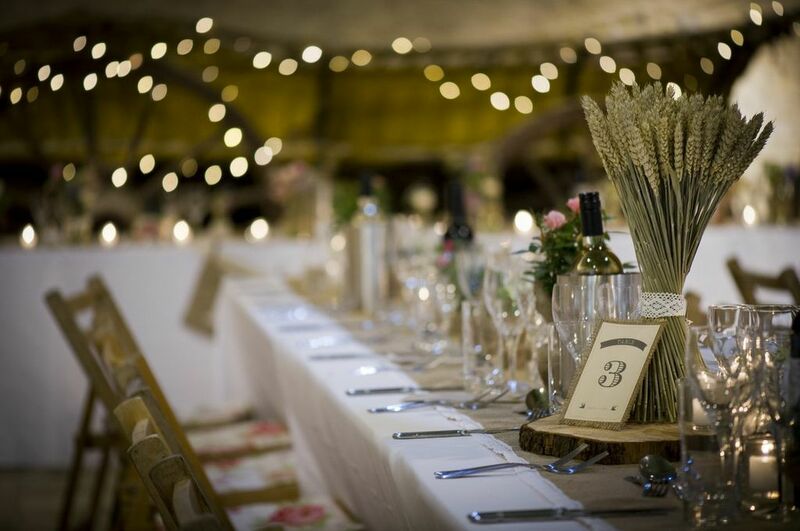 Once inside the venue, brides to be were greeted with suppliers to help them with every area of their wedding planning – from flowers and photography through to DJ’s and brooch bouquets. We pick suppliers for our Budget Bride Live Wedding Fairs based on quality and price, so we were very proud to show off the amount of talent at this event! Brides were given goody bags full of treats and money off vouchers from Confetti.com, Flowers and Ribbons and Gohen.com and were also entered into a prize draw for a Bridal Pamper Hamper which contained loads of goodies for a bridal pamper night in along with vouchers for a photo shoot with James Thorpe Photography and a generous voucher from Verona Couture Well done to bride to be Emily for scooping this prize!! We held a Fashion Show halfway through the event which featured Elegantly Hitched with an amazing seven models! 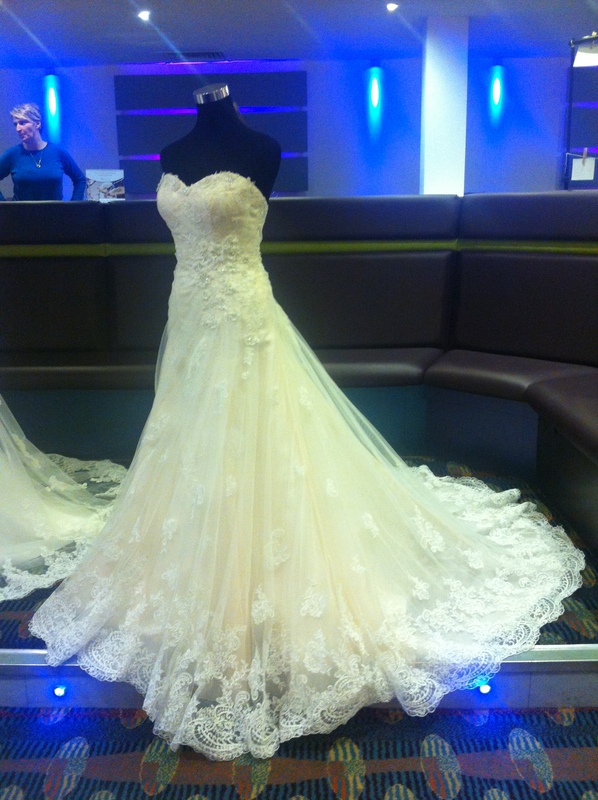 The ladies looked beautiful, showing off wedding dresses all priced below £700. Fairytales also featured in the Fashion Show, modelling their lovely bridesmaid dresses. 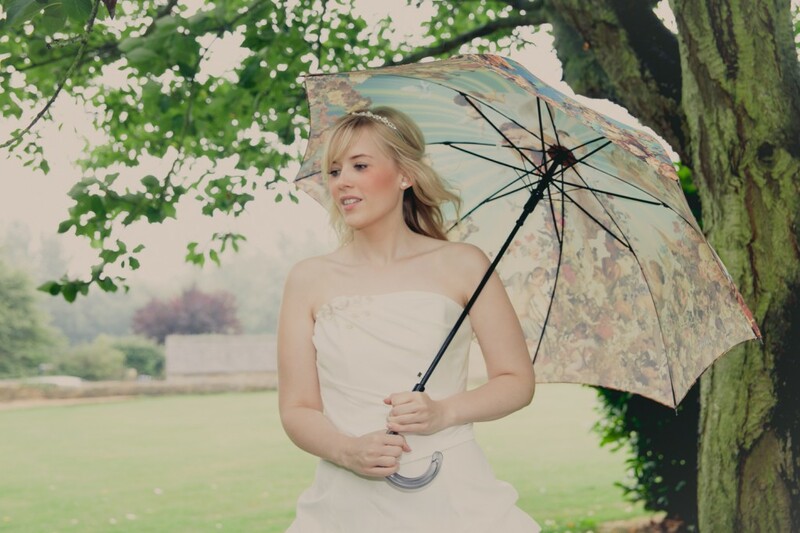 It was a fantastic day and was lovely to see so many of you brides to be, wanting to bring your wedding in on budget 🙂 We are now planning our 2014 Budget Bride Live Wedding Events – you can pre-register for your place now over on our Wedding Fairs page here. Massive thanks to all of our exhibitors – you can find out more about their brilliant wedding services by clicking on the links below! 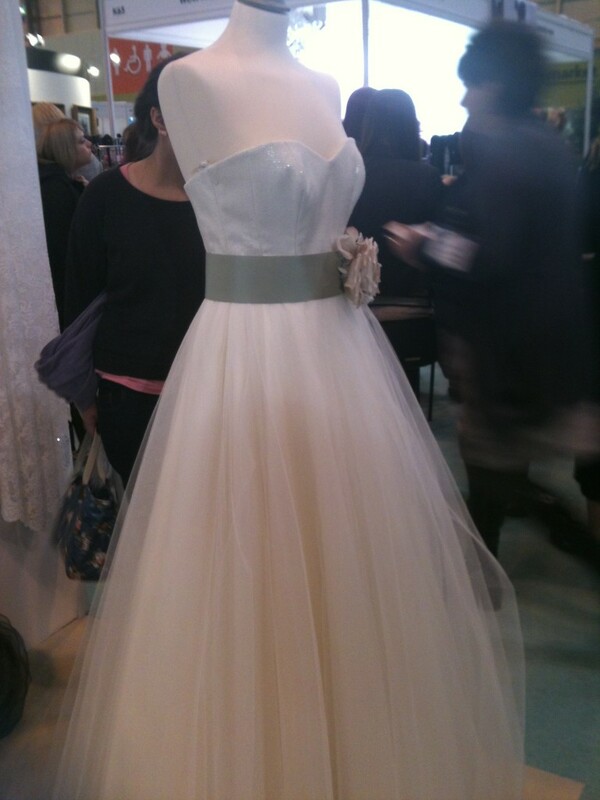 Look forward to seeing you at the next Budget Bride Live Wedding Fair in 2014! 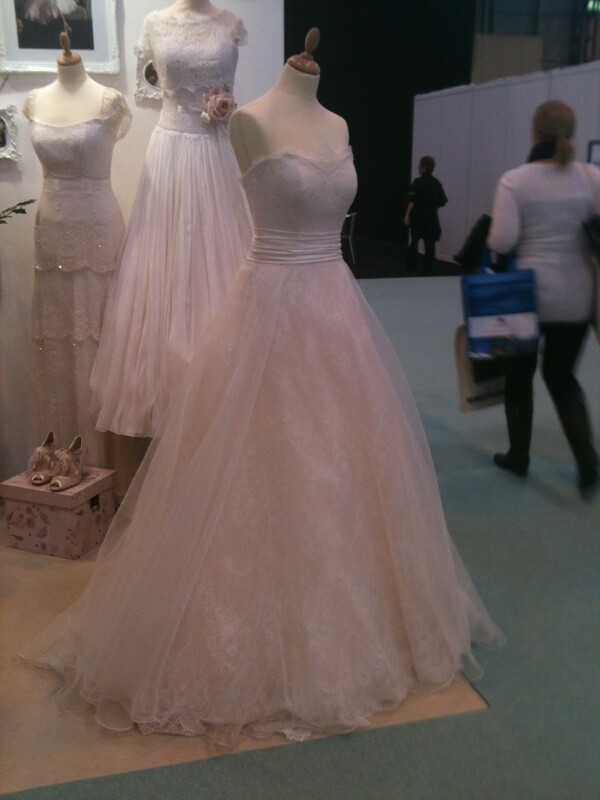 Your personal invitation to our last Budget Bride Live Wedding Fair of 2013! 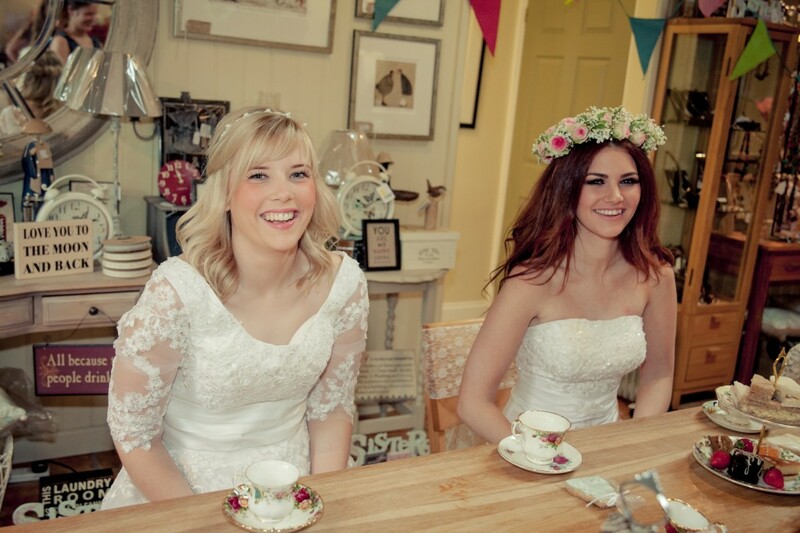 In less than two weeks, we will be running our last Budget Bride Live Wedding Fair of 2013! I am pretty much bursting with excitement due to the amount that we have crammed into this event for you… We will be at The Eden Centre in Kettering www.budgetbridelive.com on Sunday 3rd November between 3pm and 7pm and if you are a bride to be in the Northamptonshire and Leicestershire areas, this is one wedding event you cannot afford to miss. Specially created for discerning brides on a budget who demand style and quality for their money, our Wedding Fairs showcase the most gorgeous suppliers who are all able to bring magic to your wedding day, and to help you achieve your dreams on the budget you have available. 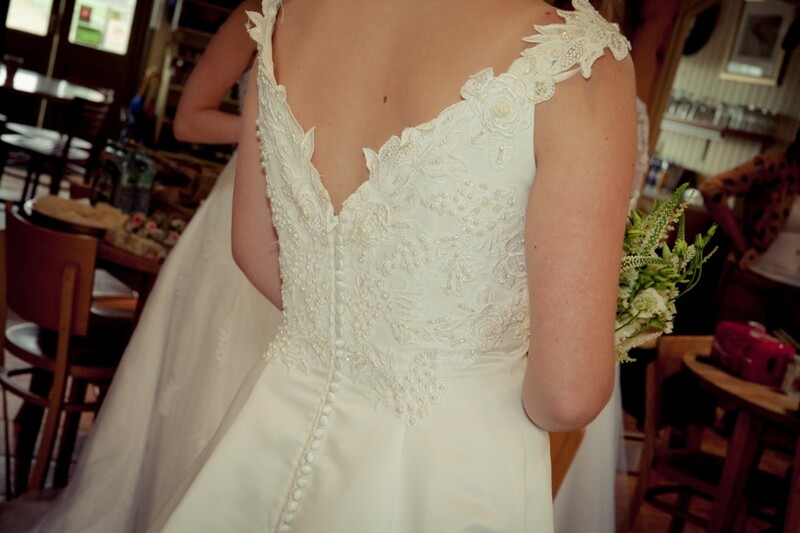 - Pop up Wedding Dress Shops with exquisite dresses between £150 and £1000 to try on and buy on the day! - Chance to enter a prize draw to win a gorgeous Bridal Pamper Hamper to spoil yourself silly with before your wedding day! What's more, the team who put together the amazing photos featured in this post will be at The Eden Centre to have a chat with you! Photography by Danielle Mobbs, Dresses from Elegantly Hitched, Flowers from Bloom In Scents, Styling from Through The Looking Glass Events… Just simply too good an opportunity to miss! 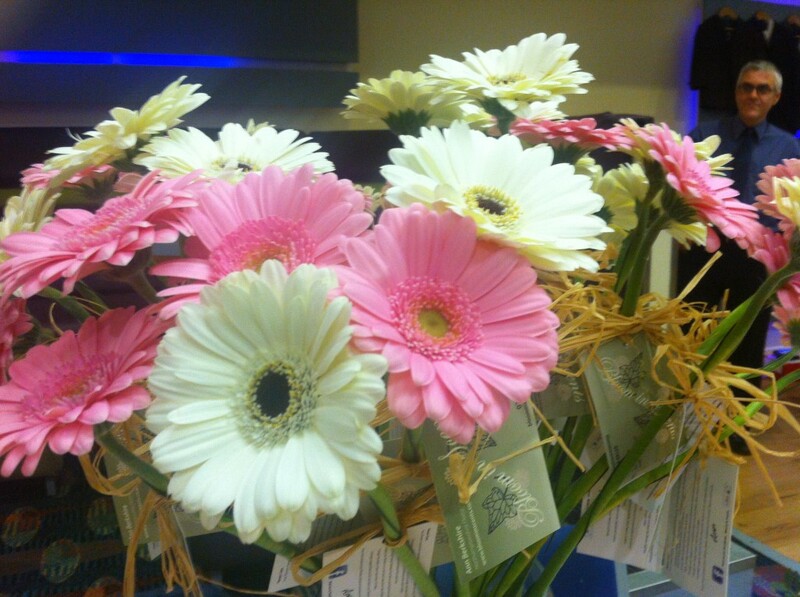 So, pre-register your free place here www.budgetbridelive.com and we will be all ready to welcome you at the venue! 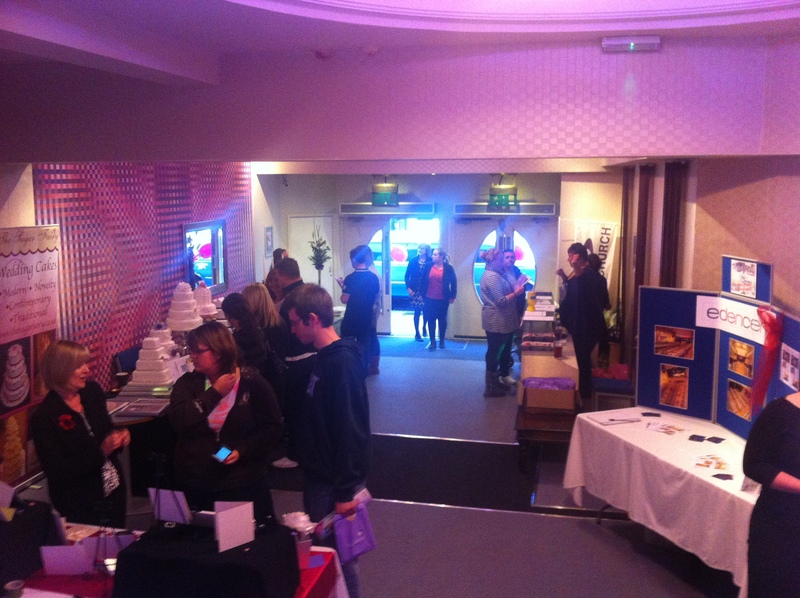 We held our first Budget Bride Live Wedding Fair in February which was a great day for our exhibitors and for our brides to be and their families. Our supplier directory has been building steadily and we now have suppliers from Stationery in Scotland through to Photographers in the South West. Look out for lots more suppliers in your region being added over the coming months! So what’s to come in our next year?! We have lots of plans up our sleeve, including a new re-vamped version of the website, more Budget Bride Live wedding events, styled photo shoots and buckets more inspiration on the Blog. We can’t wait to share it all with you! 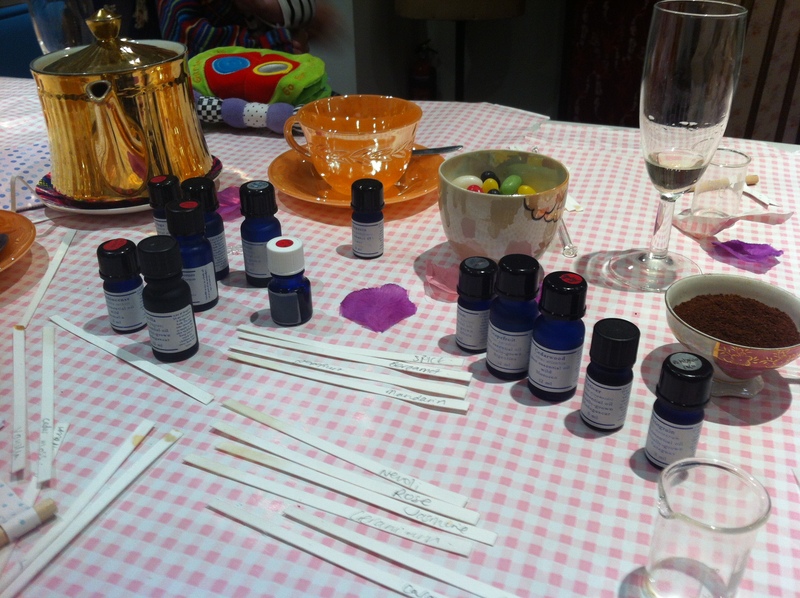 On Sunday, Team Budget Bride Company took (a very excitedly anticipated!) 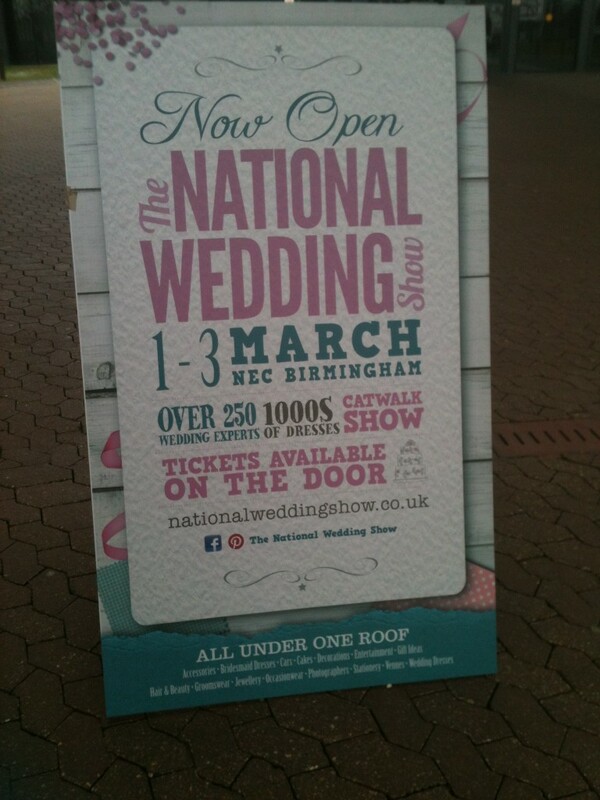 trip to The National Wedding Show in Birmingham. It was fantastic to walk around such a huge space filled to the brim with wedding suppliers offering everything from discounted make up, to glorious wedding gowns and live music. With so many exhibitors to walk around and meet and literally hundreds of beautiful dresses to look at, we had an absolute ball. The catwalk had a gorgeous British Summer feel with stunning gowns, gorgeous menswear and oh so cute children’s wedding outfits being shown off. Our pick of the best Wedding Suppliers with Budget options at the show included: Alison Eve (a harpist a singer with prices starting from £120), DiamondLove (gorgeous bridal jewellery at affordable prices), Elegant Wedding Creations (venue décor, vintage hire and candy buffets all at great rates), Francesca Bridalwear (wedding dresses from £299 and bridesmaids from £119), Helen E Cosmetics (great range of cosmetics with amazing special offers) and Keylight Photography (full day wedding photography coverage from £650). 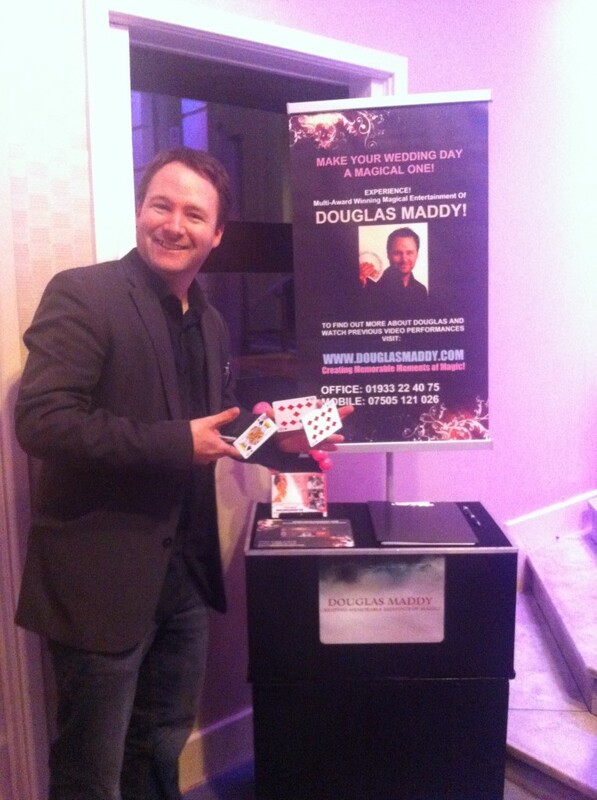 We even met up with one of our favourite suppliers – Zante Weddings! 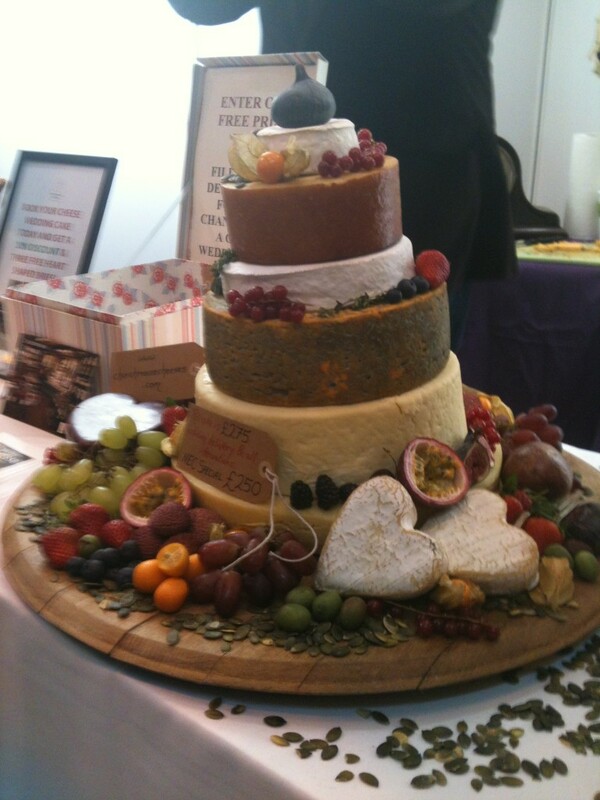 We loved this cheese wedding cake! Want this dress SO much! 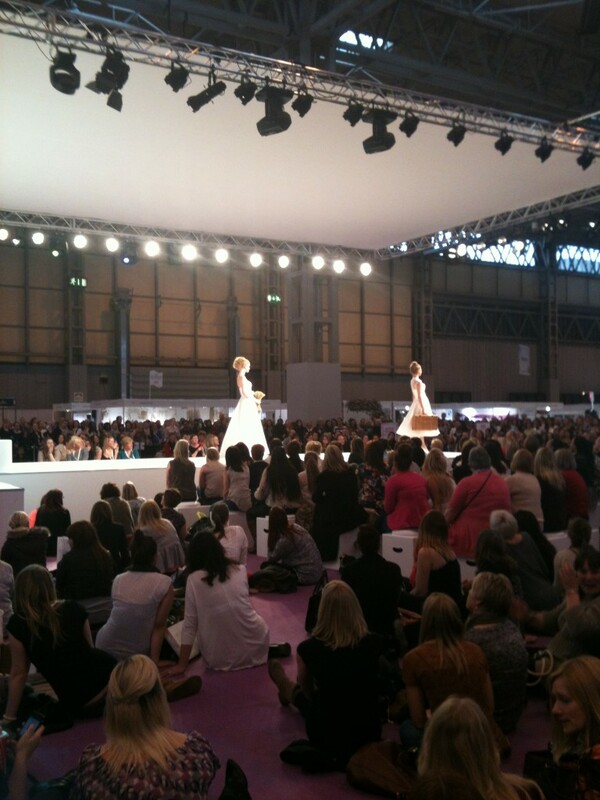 Did you make it to either of the National Wedding Show events in London or in Birmingham? If you did, I hope you had as much fun as us! Brighton has long been one of my favourite places to visit. From my first ever mini break away at the age of 18 (we signed our names as Mr and Mrs Smith in the guest book!) through to making a habit of visiting at least once a year these days, there is something about the atmosphere, amazing shops and friendly people that I just LOVE! So, in search of some bohemian wedding inspiration, Team Budget Bride Company made their way down to the South Coast for a few days of beach side fun! 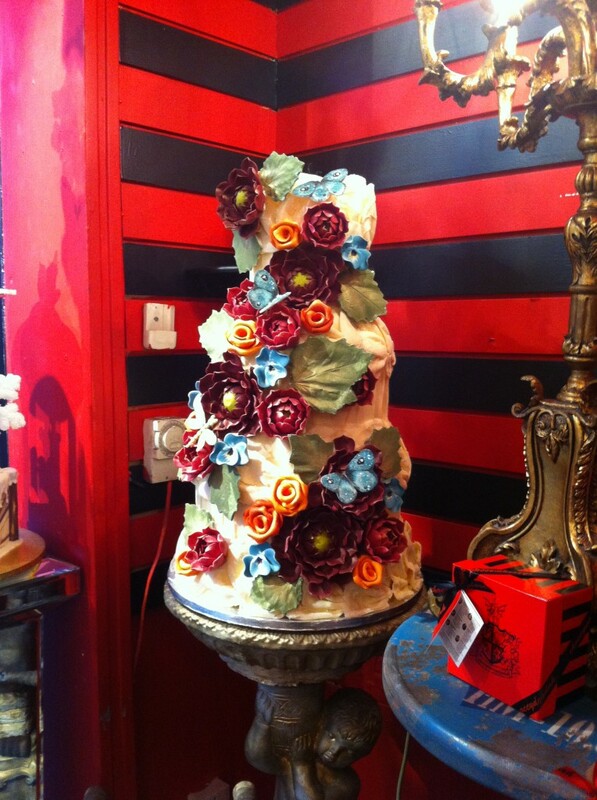 What trip to Brighton wouldn’t be complete without a visit to Choccywoccydoodah?! 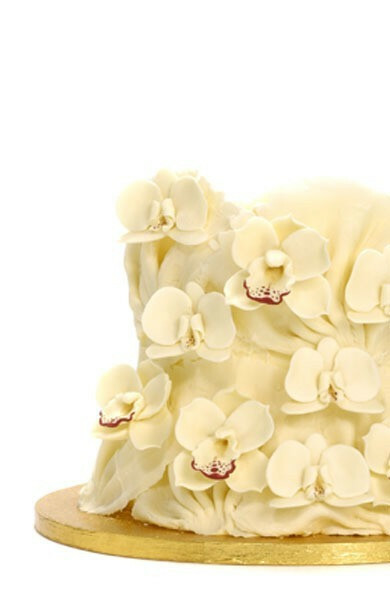 This chocolate wonderland hosts some of the most incredible cake designs we have ever seen… Whilst some of the designs come in a lot pricier (what I wouldn’t give for the Las Vegas wedding cake! 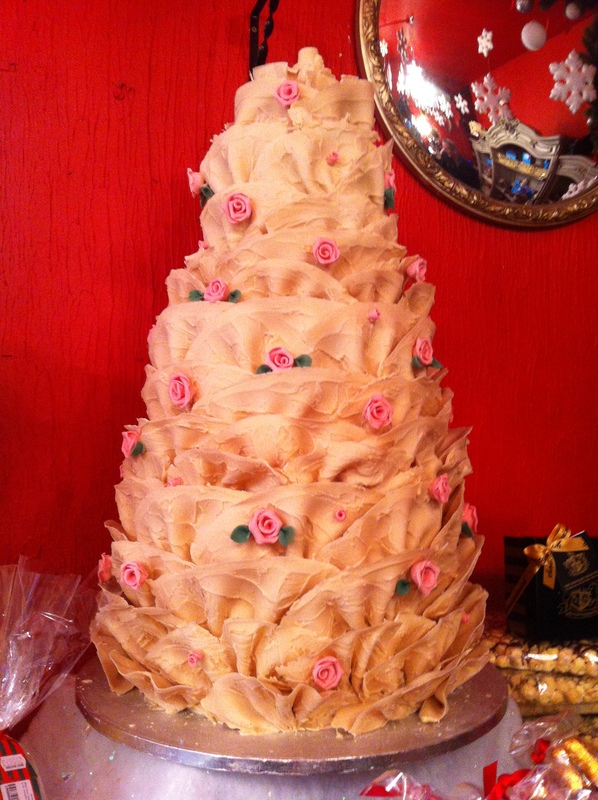 ), you can have a Choccywoccydoodah designer wedding cake – such as this stunning orchid creation to feed 40 guests for £199. Hurrah! 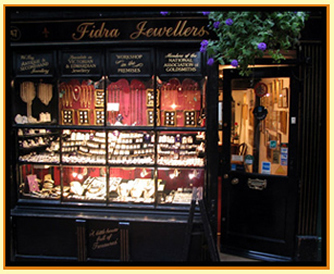 We loved wandering through The Lanes , spending our afternoons gazing at the beautiful unique engagement rings in the antique jewellery shop windows. There are more wonderful designs than you can shake a stick at - my favourites are definitely the ones including a sapphire! 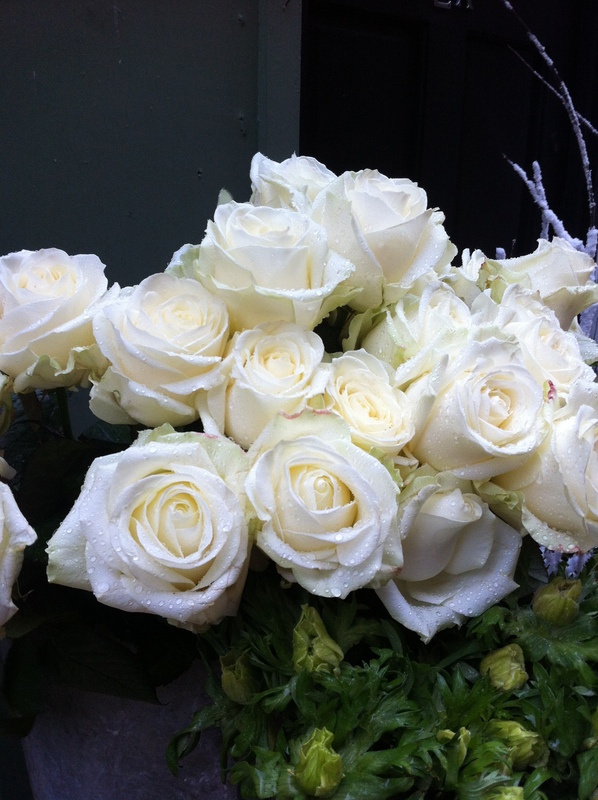 And look at these beautiful white roses that got caught in an afternoon downpour! 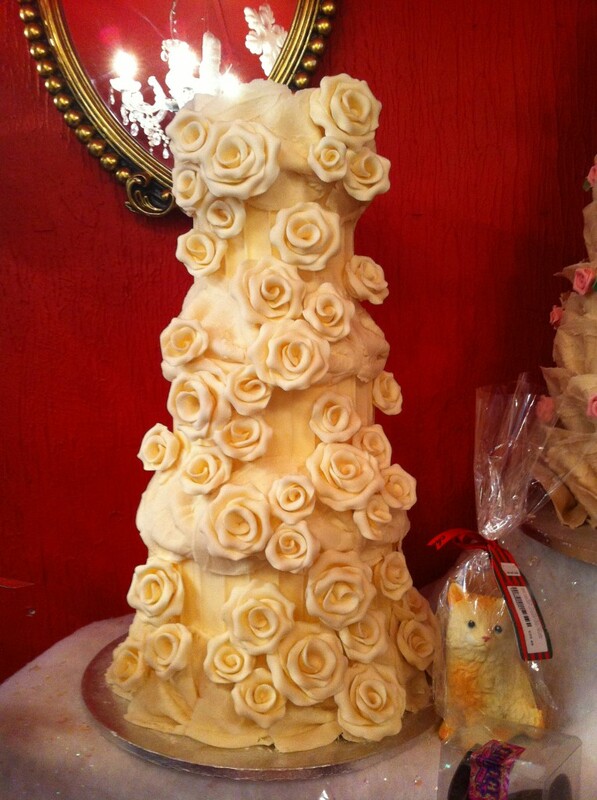 We fell in love with the cakes at Cloud 9 – they have some great designs from £150, and the staff are so friendly! 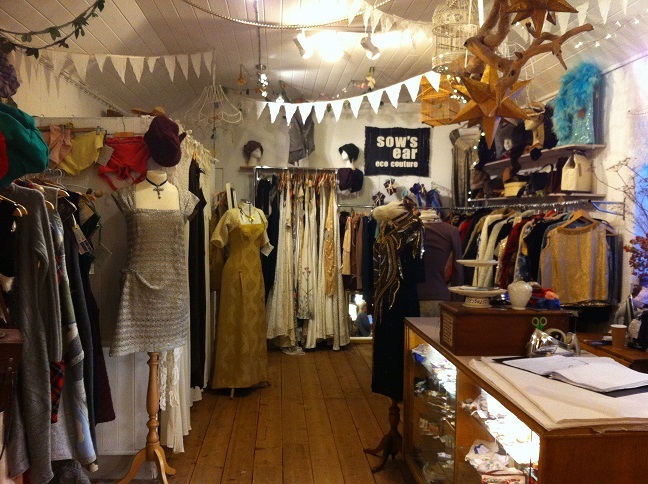 We had a fantastic visit to Snoopers Paradise – perfect for retro styled weddings, with plenty of vintage crockery, jewellery and even copies of Vogue from back in the early 90’s for some classic fashion inspiration. 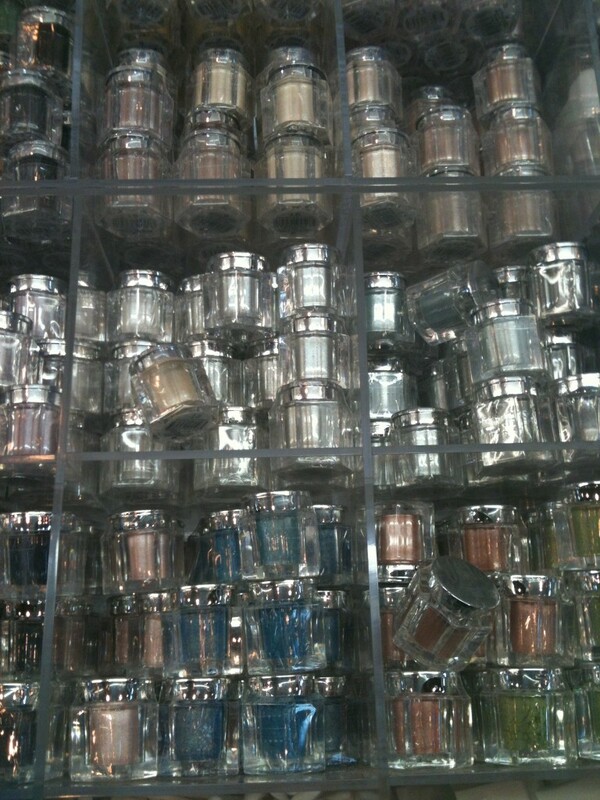 The place is enormous and you can easily spend a couple of hours snooping through the treasures! We had a great day on The Pier on New Years Day. With a clear blue sky and warm sun, it was easy to see why it might be an idea to say ‘I Do’ there! This would make an incredibly fun and different wedding venue – just think of the photo opportunities! 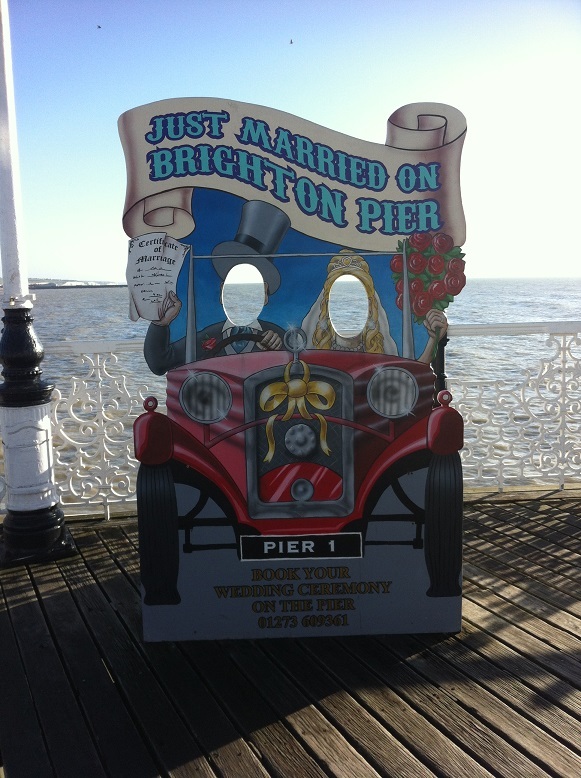 Brighton is such a fantastic place; whether you are using wedding suppliers from here, holding your wedding here, or both - you will truly be spoiled for choice. Brighton – we love you! 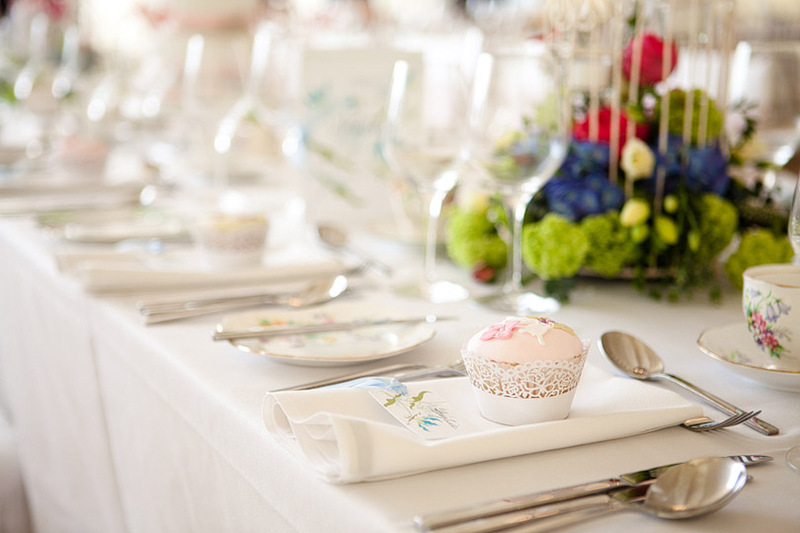 We absolutely adored this Big Love British Seaside wedding – looks like they had so much fun! Waking up to a world covered in frost most of the mornings this week. Finding out that Sainsbury’s stock mini bags of Jelly Belly’s at the kiosk! Found this gorgeous idea on Pinterest! 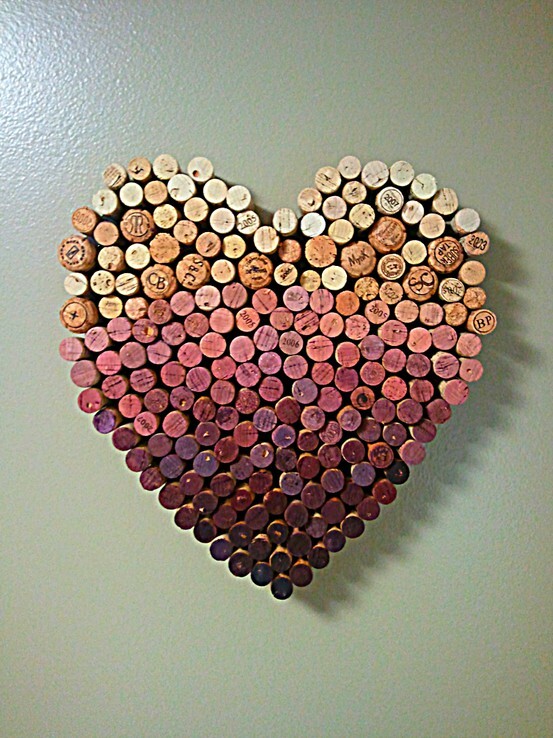 Save all of the corks from your wedding reception and make them into a heart to go up on the wall. What a lovely reminder of the big day!